Saab 2002, 9.5, 4 cyl turbo, one owner, good condition, 4 door FWD, need some work. all new matching tires. 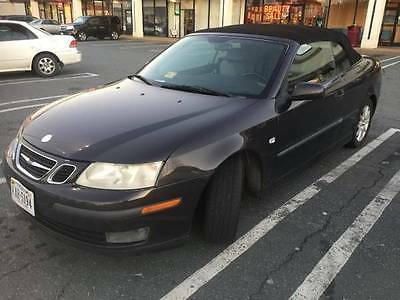 2006 Saab 9-3 TURBO 2006 SAAB 9-3 TURBO CONVERTIBLE, ONLY 67000 MILES LIKE NEW!!! THIS IS THE BEST CAR I HAVE EVER HAD, NO ACCIDENTS CLEAN CAR FAX. SHE LOOKS AND RUNS LIKE BRAND NEW!! !, SUPER TIGHT, SMOOTH. WHAT A GREAT CAR IN THE SPRING AND SUMMER, LOTS OF FUN AND GREAT IN THE SNOW. NO ISSUES AT ALL, EVERYTHING WORKS AS IT SHOULD. ICE COLD A/C, NEW TIRES, XENON LIGHTS, POWER TOP, JUST SERVICED. ALOT OF CAR FOR NOT ALOT OF MONEY. 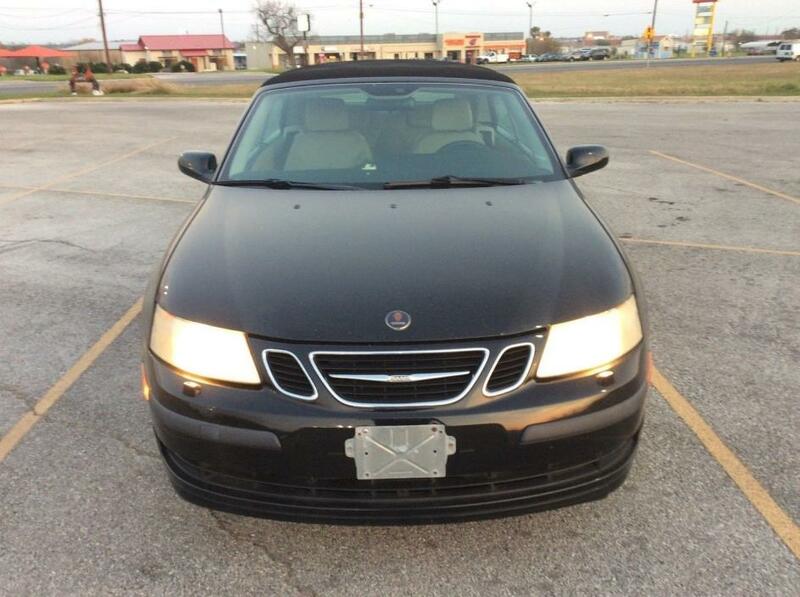 2004 Saab 9-3 ARC Convertible for sale by owner. Garage kept. Everything works as it shoul. Clean title. No accident.Clean and well maintained. Brand new battery with warranty. 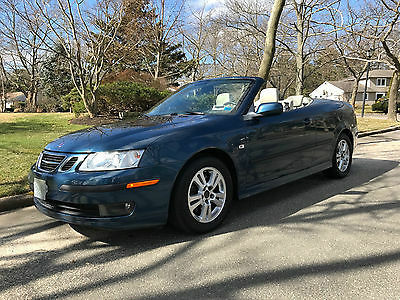 2006 Saab 9-3 aero 2006 Aero Convertible, Excl. Cond., 2nd Owner, All records, Price just reduced! 2nd owner Aero. Black exterior with parchment and black two tone leather interior. Top of the line Aero 2.8 L V-6 Turbo model loaded with features including; Sport tuned suspension, 17” alloy wheels, Electronic stability control, Alarm, Automatic climate control, 300 watt stereo w/ 6 disc changer, one touch power windows, power heated side mirrors, leather steering wheel with audio controls, power front seats with driver's side memory, projector beam Xenon headlight, remote control opening of windows and convertible top, auto dimming mirror w/ compass and garage door opener, rear parking assist, rain sensing windshield wipers. I am the second owner and purchased the car 09-2009. I have all receipts for when the car was new to now. Car has been garage kept out of the sun and rain. Oil has been changed more than twice as often as required, SAAB specifies every 10,000 miles and I changed it every 5,000 miles with Mobil 1full synthetic. 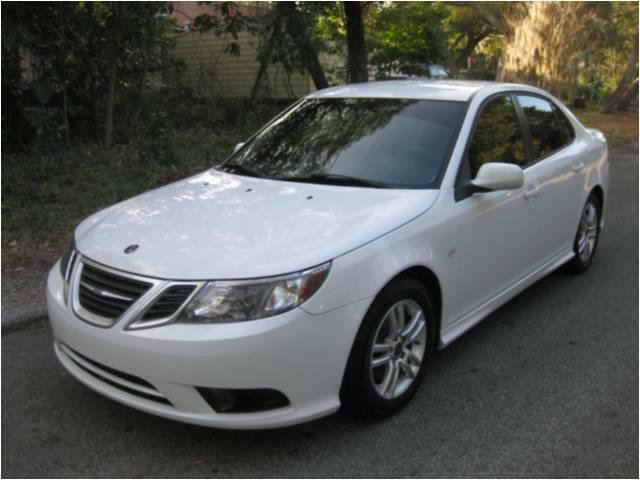 Car has always been serviced by the authorized SAAB service and all maintenance is up to date. Recent tires, brakes, A/C, sway bar links and convertible top hydraulic pistons. A/C ice cold, Never seen snow, New tires, Non-smoker, Title in hand. Everything is in working order and the car runs as new. I have all original books and manuals, window sticker and three (3) keys. Car is in significantly above average condition. Extremely clean inside and out. Will send additional photos upon request. 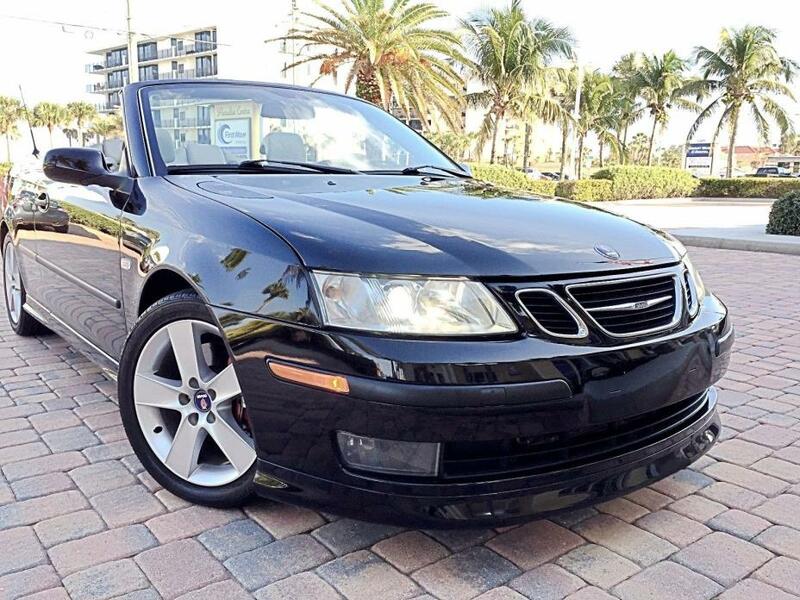 2005 Saab 9-3 Convertible ARC - Mid Level of 3 available! 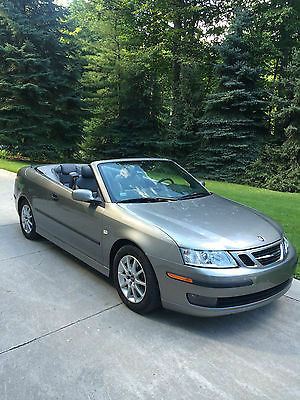 Beautiful SAAB 9-3 Convertible! Only 19,000 Miles! I'm selling only because it sits in the garage and we rarely drive this fine two owner! I purchased it from the original owner one year ago with 13,900 original miles. The car is in my heated garage and has never been driven in snow. The original owners were from New Mexico then Florida where I purchased it. I had the 15,000 mile service completed, vehicle detailed and brand new Pirelli tires mounted. It is in "as new" condition! Needs Nothing - Drive Anywhere! Everything works as expected and runs perfectly. No Damage! 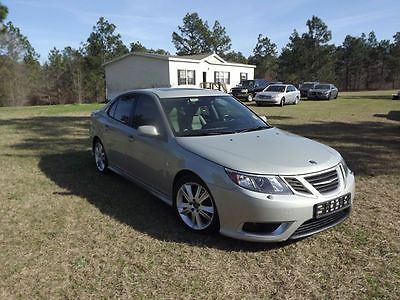 This Saab has an automatic transmission, power folding top, heated leather seats, CD player and is one of the very safest cars on the road. 30 mpg and FUN to drive too! Charcoal Grey exterior & Medium Grey Leather interior. The original owner was in her late 70's and I'm 67 - Never hot rodded! This car has been babied since new!This is my 4th SAAB and the most fun to drive! Again, ONLY 19,000 Original Miles! MSRP = $42,500 New! This SAAB is a Real GEM!NOTE: Per the original owner, car was on a trailer being towed by Penske truck (while moving to Florida) when truck was struck by another vehicle. The SAAB was listed as cargo on a trailer - not damaged. That is why report shows No Damage! 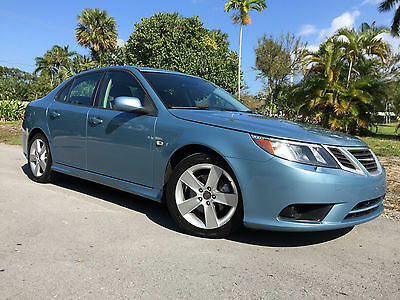 2008 Saab 9-3 2.0T RARE COLOR ! SUNROOF ! HEATED SEATS ! LEATHER EXTREMELY RARE COLOR ! SUNROOF ! HEATED SEATS ! LEATHER ! CALL US 754-422-5284 ! 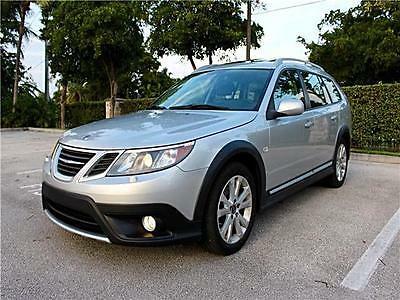 2011 SAAB 9-3X AWD AUTOMATIC TRANS, ONLY 67K Miles, EXCELLENT CONDITION Vehicle Overview: Stock: 6053 VIN: YS3FD5BY9B1306053 Year: 2011 Exterior Color: Diamond Silver Metallic Make: Saab Interior Color: Black Model: 9-3 Mileage: 67050 Engine: 4 Cylinder Engine 2.0L/122 Transmission: 6-Speed A/T Vehicle Description: This is your chance to get an extremely clean and very rare 2011 Saab 9-3X 2.0T Sportcombi with only 67K Miles !!! The exterior is finished in a beautiful Switchblade Silver Metallic that is shiny and in great condition, complimented with Black leather interior that shows minimal wear. This 9-3X features a powerful 2.0T high pressure turbocharged inline 4 cylinders engine capable of 210HP and is mated to the seamless and 6 speed automatic transmission that truly brings this Sweedish power-plant to life!! This motor is quick on its feet but still gets a very efficient 26/34MPG!The vehicle is sold with a Florida REBUILT TITLE. If you don't understand what a Rebuilt Title means, please feel free to call me at:30 SAAB93 03 (307-222-9303) and I will gladly explain.PLEASE USE THE PHONE AS A METHOD OF COMMUNICATION. I RARELY ANSWER EMAILS.The vehicle was inspected by DMV in Florida and is ready to be sold anywhere in the country. For the asking price the vehicle will be sold with a 3 month (3000 miles) warranty. THIS IS A NON-SMOKER CAR.The rear seat passengers are not left out and kept very comfortable with plenty of leg and head room. The driver is treated to a leather trimmed steering wheel with controls to the Premium audio system, On-board computer and cruise control right at their fingertips! The vehicle is equipped with numerous safety and convenience features that include but are not limited to: 1-touch Power Glass Sunroof, Heated Mirrors, Factory indash CD Player. The vehicle also also features 60/40 split folding rear seat, 4 wheel ABS, Front side impact airbags, Elegant 17” alloy wheels and factory alarm system. This Saab has a matching set of tires, in very good condition and a mini spare in the trunk.QUESTIONS, PHONE CALLS & INSPECTIONS WELCOME!! 307-222-930330 S-AAB-93 03NATIONWIDE DISCOUNTED SHIPPING AVAILABLE! !307-222-930330 S-AAB-93 03 Mechanically, the car needs nothing! !Here is a list of what was done at our Saab specialized in-house service facility : Mobil One 0-W40 synthetic oil change and filter Coolant System complete flush. (brand new coolant fluid was used. Replaced the lower sway bar linkage on both sides Balance & Rotate Tires Replaced the spark plugs (NGK) Replaced the Engine Air Filter Installed new windshield wipers Complete Interior & Exterior DetailWe are a family owned dealership located in Hollywood, Florida, specialized in rebuilding Saab 93 vehicles. 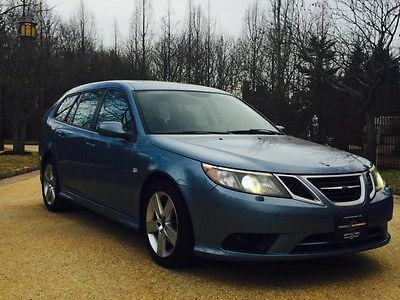 We have many Saab 93 in our inventory at different prices, years and mileage.Some of the upcoming auctions on Ebay will be for the following Saabs: 2011 Saab 9-3x Sportcomby with 72k miles, Red 2011 Saab 93 Sport Sedan with 35K miles, Automatic, Ice Blue. 2010 SportSedan, Automatic, with 52K miles, Black 2010 SportSedan, Automatic, with 80K miles, White 2008 Saab 93 Convertible, AERO, Automatic, 56K Mi. 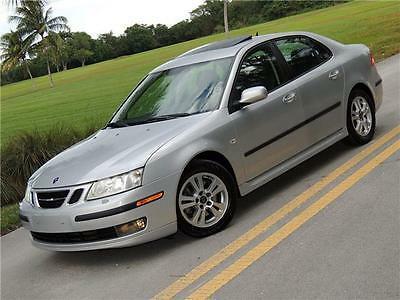 2007 Saab 93 Sportsedan, Anniversary Edition 79k Mi 2007 Saab 93 Sportsedan, Anniversary Edition 60k Mi 2006 Saab 93 Sportcombi AERO, Automatic, 83K Mi 2006 Saab 93 Sportcombi 2.0T Automatic, 47K Miles 2006 Saab 93 Sportcombi AERO Automatic transmission with 74k Mi Vehicle Specification: Exterior: Badge, 9-3X on rearFog lamp surround, BlackFog lamps, front integralHeadlamps, halogenSpoiler, rear, roof mountedWheel and tire, spare, compact Door handles, body-color, exteriorFog lamp, rearGlass, tinted and heat absorbentRoof rails, matte chrome finishTurn signals, side-mounted indicator lampsWipers, front rain-sensing Interior: Air conditioning, dual-zone automatic climate control with individual temperature settings for front passengers and rear seat air outletsAssist handles, front and rear outboard includes jacket hook on rear handlesCargo coverCruise control, electronic with set and resume speedCup holders, 2 in the second rowDefogger, rear-window, electricFloor mats, with contrasting pipingHeadrest, rear centerInstrumentation, analog includes speedometer, tachometer, boost gauge, fuel level, engine temperature and digital odometer with trip meterLighting, interior with rear readingPower outlets, 2 - 12-volt in center console, 1 in cargo areaSeat adjuster, driver 2-way lumbarSill plate, door cover, 9-3XSteering wheel, mounted audio controlsTheft-deterrent system, content theft alarm with engine immobilizerTrim, Dark Titan decor, gear lever surroundTrim, metallic-rimmed gaugesVisors, driver and front passenger with dual illuminated vanity mirrors Air filter, cabinCargo anchorage loops, in the trunkConsole, front center armrest with coin holder and cupholderCup holder, front folding in instrument panelDefogger, front, side-windowDriver Information Center includes trip computer, outside temperature, fuel consumption, distance to empty, average speed, speed warning and driver warning messagesGlovebox, cooled and illuminatedHeadrests, rear, outboard seats, adjustableLighting, interior includes delay-off feature, overhead map, footwell and remote 'halo'Mirror, inside rearview manual day/nightProfiler, menu system for individual settingsSeat adjuster, driver 8-way powerSteering column, adjustable tilt/telescopingSteering wheel, sport, perforated leather-wrappedTrim, Dark Titan decor, doorsTrim, Dark Titan decor, gloveboxTrunk illumination Mechanical: Alternator, 120 ampsBrakes, 4-wheel disc with ventilated front and rearDifferential, electronic limited slipExhaust, dual bright finish tailpipesSteering, power assisted rack and pinionSuspension, rear independent, four-link with toe-link, coil springs, gas shock absorbers, anti-roll bar, sub-frame and 'Re-Axs' passive rear-wheel steering system Battery, maintenance freeChassis, increased rideEngine, 2.0L DOHC MPFI 4-cylinder, turbocharged (210 HP [156.6 kW] @ 5500 rpm, 221 lb. ft. [298.4 N-m] @ 2500-4000 rpm)Shock absorbers, rear, self-levelingSuspension, front, MacPherson strut type with gas shock absorbers, anti-roll bar and hydroformed sub-frameXWD Cross-Wheel Drive System Safety: Air bags, frontal, driver and right front passenger with Passenger Sensing System (Always use safety belts and the correct child restraints for your child's age and size. Even in vehicles equipped with air bags and the Passenger Sensing System, children are safer when properly secured in a rear seat in the appropriate infant, child or booster seat. Never place a rear-facing infant restraint in the front seat of any vehicle equipped with an active frontal air bag. See the Owner's Manual and child safety seat instructions for more safety information. )Brakes, 4-wheel antilockChild Safety Locks, rear doorsHead restraints, active, front seatsSafety belts, 3-point, all rear seating positionsTire Pressure Monitoring System (Does not monitor spare tire.) Air bags, side curtain for outboard seats and side torso for the front seats (Head curtain side air bags are designed to help reduce the risk of head and neck injuries to front and rear seat outboard occupants on the near side of certain side-impact collisions. Always use safety belts and the correct child restraints for your child's age and size, even in vehicles equipped with air bags. Children are safer when properly secured in a rear seat in the appropriate infant, child or booster seat. See the Owner's Manual and child safety seat instructions for more safety information. )Brakes, Electronic Brake-Force Distribution (EBD)Daytime running lampsLATCH system (Lower Anchors and Top tethers for CHildren) for child safety seatsSafety belts, 3-point, front Entertainment: Antenna, combined OnStar/XM Satellite Radio roof-mounted Audio system feature, 7-speaker system Vehicle Warranty: For the asking price, the vehicle is sold with 30 days limited warranty. Please ask for details. Terms and Conditions: Payment Options We accept the following payment methods: - Cashier's Check/money order - Loan check from eBay Financing Center - Cash (in person) - Personal check (once cleared) Vehicle Pickup & Shipping All shipping charges are buyer's responsibility. General Terms Terms of Sale The following terms of sale apply to all of our online sales as well as sales resulting from online ads or other ad, or a procurement sale. 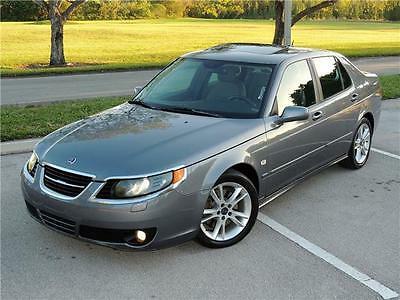 SAAB93PARTS is the registered eBay user name of Next Level Automotive. We are a licensed, bonded and insured Florida Independent Dealer. We are located at 5730 DAWSON ST. HOLLYWOOF, FL 33023. Our office can be reached at 307-222-9303 (30 SAAB 93 03). Deposit The successful high bidder of an online auction/ad will submit a $500.00 non-refundable deposit within 24 hours of the close of the auction to secure the vehicle. This may be paid via PayPal or certified funds in US Dollars only. Payment of Balance Due The buyer agrees to pay remaining balance due including applicable fees and taxes within 3 days of the close of online auction/ad unless otherwise agreed to by seller in writing. Payment Methods The ONLY acceptable methods of payment are: certified bank check, bank wire transfers or pre-approved third-party financing. All funds must be in US Dollars only. Cash in person is acceptable with pre-notification so that large transactions can occur during banking hours. NOTE: Please be sure to have full payment and/or approved financing in place BEFORE making your final bid. Call for more information. We apologize for any inconvenience but company policy is that we do not accept Paypal as method of payment beyond the $500.00 deposit amount. Additionally, credit cards are only accepted through Paypal up to the $500.00 limit; we do not take credit cards on-site. Financing as Method of Payment When seeking pre-approval for an auto loan please remember that some lenders only work with franchise dealers. Next Level Automotive is licensed as an Independent Dealer. Most banks and credit unions do not finance vehicles older than 7 years or with more than 100,000 miles. Make sure, then, if financing, that your financial institution accepts the year and miles of the vehicle BEFORE bidding. If you win an auction you herein agree to subject yourselves to these terms and, therefore, if you cannot arrange financing your deposit will be held by Next Level Automotive to help cover costs involved in the auction/ad. (Under some circumstances, with prior agreement, the deposit may be applied towards a future purchase of a vehicle from Next Level Automotive). General Terms We reserve the right to cancel all bids and end an auction early at any time should the vehicle no longer be available for sale. Winning bidder must contact us within 24 hours of auction end and make arrangements for payment and delivery at that time. Terms of Deposit and Payment of Balance Due outlined herein apply. If we have not received contact within 24 hours of auction end we reserve the right to further advertise the vehicle, sell it to the next high bidder, or sell it otherwise. This vehicle is also being offered for sale outside of eBay and should a sale agreement be made we reserve the right to withdraw or end the auction in accord with eBay rules and regulations. For example, No Reserve auctions may not be ended during the last 12 hours except to end it during that time and sell to the high bidder. Inspections A third-party inspection is highly recommended to avoid any misunderstandings. We have made an earnest effort to accurately and fairly describe this vehicle to you. We aim to only carry quality pre-owned vehicles, however, please know that any and all pre-owned vehicles will have typical scratches, nicks, or dings inherent for its year, and mechanical parts are subject to fail. Some vehicles have required paintwork (i.e. bumpers, mirrors, etc) to improve quality. All such work that we may have done is by professionals and of high quality. If you would like to arrange an inspection, please contact us before auction end or before a purchase commitment and we will do our best to coordinate with you to make the vehicle available for your arranged inspection. Buyer / bidder is responsible for payment of the inspection. Shipping Buyer is responsible for all shipping charges. We are happy to assist in arranging shipping as a value added service only. We assume no responsibility for damages incurred after the shipper has signed for the vehicle. We are NOT the shipping company. Shipping companies are independent of our dealership. Delays happen and are often uncontrollable and some shippers prove to be more communicative than others. For the most part, though, it is a relatively smooth process and we will do our best to walk you thru the process. If you choose to arrange your own shipping, note that for sales tax purposes we require a copy of the Bill of Lading when the vehicle is picked up and a copy of the signed delivery receipt when you have received the vehicle out of Florida. Please, we prefer that you do not select DAS as your service provider as we have not had positive experiences with that company. Accessories Vehicles offered for sale by Next Level Automotive are pre-owned. When these units are purchased from the dealer-only auctions as trade-ins or lease turn-ins they may not have some ..accessories.. which you may feel should be included. Such items include things like books & manuals, extra keys, remotes, headphones (for entertainment packages), tools, cargo nets, floor mats, CD cartridges, wheel lock keys, etc. Items as these (or others you may think of) are not automatically included or provided by us. In our writtendescriptions, we do our best to list things accurately. HOWEVER, we do make mistakes and may overlook an item listed as included which did not come with the car. In such a case, please refer to the photos of the vehicle to see if you can see the items listed. For example, we usually take a photo showing any books and keys or remotes that come with the vehicle. If you don’t see a photo of it, please ask us to check to see if it is included with the vehicle. Please do not assume anything and know that we don’t mind you asking us to double-check some things. Disclaimer We make every effort to present information that is accurate. However, it is based on data provided by the vehicle VIN decoding and/or other sources including but not limited to car history data reports and therefore exact configuration, color, specifications, accessories should be used as a guide only and are not guaranteed. Under no circumstances will we be liable for any inaccuracies, claims or losses of any nature. Furthermore, inventory is subject to prior sale and prices are subject to change without notice. Prices do not include taxes, title and registration fees, finance and/or documentation charges, and shipping fees when applicable. To ensure your complete satisfaction, please verify accuracy prior to purchase. Also, due to human imperfection, and/or occasional software glitches, if you see a vehicle advertised, for example, for $200.00, please understand we are not selling a car for such a price and a correction will be made. A click of the wrong button can mean the difference between a starting price and a selling price. If you see such an amazing deal, please contact us right away to verify as it is likely an error and we will not be able to honor it. Sorry, we are only human! Warranty Vehicles sold from our dealership are being sold AS-IS. No representations or warranties are made by seller. A Manufacturer Warranty for the vehicle maystill apply. Car history reports sometimes convey beginning or ending periods of manufacturer warranties. The best way to confirm this information is to call a manufacturer’s franchise dealer (ask for the service department) and inquire as to the warranty details. You will need to provide them with the VIN when you call. Jurisdiction The jurisdiction of this transaction is Broward County, Florida. By bidding on or making an agreement to purchase this vehicle you will have entered into a legal and binding contract. You agree not to leave negative feedback until we have been given opportunity to correct any issue that may be brought up with this transaction. If you have any questions about these terms please contact us. Notice to Bidders on eBay We reserve the right to cancel all bids and end an auction early should the vehicle no longer be available for sale. Zero Feedback Bidders Due to a high ratio of zero feedback bidders that prove to be non-paying bidders we request that any new bidders with zero feedback contact us via phone or email prior to bidding. If a zero feedback bidder wins the auction and we cannot contact them or he/she does not contact us within one hour after the auction closes we will assume he/she is a non-paying bidder. We then reserve the right to make a second-chance offer to the next bidder down or sell the vehicle otherwise. Non-Paying Bidder If the deposit is not received within 24 hours via Paypal (or 2 business days sent via courier and you have told us it is coming this way) of the close of auction or if the balance is not paid in full within 7 days following the close of auction, we reserve the right to re-list the vehicle or sell it to another qualified buyer. Fees and Tax Information: Fees and Taxes Next Level Automotive charges a Dealer Prep Fee in the amount of $199.00 on all vehicle purchase transactions including wholesale transactions with other licensed dealers. It must be stated that “This charge represents costs and profit to the dealer for items such as inspecting, cleaning and adjusting vehicles, and preparing documents related to the sale”. Florida law statutes mandate that any such fee must be disclosed and included in the final sale price without discrimination. With online auctions the final sale price is not known in advance, so please note that the amount of $199.00 will be added to the closing or agreed amount of purchase so that the final price will include the fee and such will be reflected on the Bill of Sale, also called a Purchase Agreement or Buyer’s Order. A BIN (Buy-It-Now) price on eBay does not include the $199.00 charge. Next Level Automotive is licensed in the State of Florida and is responsible for COLLECTING applicable sales taxes related to vehicle sales. Please note the following state mandated guidelines: Sales Tax for Florida Residents: 6% for the state plus any applicable county discretionary tax. Out-of-state (non-Florida resident)shipping your vehicle to your state: We retain a Bill of Lading as evidence of your shipping and do not collect sales tax. You are responsible for paying your taxes, title and registration fees when you register the vehicle in your home state. Out-of-state (non-Florida resident)taking delivery in Florida: If you take delivery of your vehicle here in Florida and we issue you a temporary tag, and your state has a Reciprocal Agreement with Florida, then we MUST collect your state’s applicable Sales Tax up to a maximum of the Florida rate of 6%. Any taxes over that amount you will pay when you register the vehicle in your state. If your rate is less than 6% then the lower rate will be collected. You will NOT be double-taxed. We will provide you a notarized document as to the amounts collected which you may present to your motor vehicle department as evidence of sales tax already paid. Any balance of tax due and related title and registration fees are the buyers responsibility. There are few states which currently do not allow credit such as AR, DC MS, WV. To avoid paying tax to FL and AR, DC MS, WV we should make the delivery to you out-of-state by a transporter. We must retain the shipping Bill of Lading as evidence of the out-of-state delivery. Exporting: If you are purchasing a vehicle which will be exported overseas we can only release the vehicle to you via a transporter / shipper as the vehicle may not be operated on Florida roads with a temporary tag unless sales tax has been collected. We request a copy of the export bill of lading or dock receipt for our records and state audit purposes so that we are not held responsible for taxes. Fees and Taxes Fees and Tax Information: Fees and Taxes Next Level Automotive charges a Dealer Prep Fee in the amount of $199.00 on all vehicle purchase transactions including wholesale transactions with other licensed dealers. It must be stated that “This charge represents costs and profit to the dealer for items such as inspecting, cleaning and adjusting vehicles, and preparing documents related to the sale”. Florida law statutes mandate that any such fee must be disclosed and included in the final sale price without discrimination. With online auctions the final sale price is not known in advance, so please note that the amount of $199.00 will be added to the closing or agreed amount of purchase so that the final price will include the fee and such will be reflected on the Bill of Sale, also called a Purchase Agreement or Buyer’s Order. A BIN (Buy-It-Now) price on eBay does not include the $199.00 charge. Next Level Automotive is licensed in the State of Florida and is responsible for COLLECTING applicable sales taxes related to vehicle sales. Please note the following state mandated guidelines: Sales Tax for Florida Residents: 6% for the state plus any applicable county discretionary tax. Out-of-state (non-Florida resident)shipping your vehicle to your state: We retain a Bill of Lading as evidence of your shipping and do not collect sales tax. You are responsible for paying your taxes, title and registration fees when you register the vehicle in your home state. Out-of-state (non-Florida resident)taking delivery in Florida: If you take delivery of your vehicle here in Florida and we issue you a temporary tag, and your state has a Reciprocal Agreement with Florida, then we MUST collect your state’s applicable Sales Tax up to a maximum of the Florida rate of 6%. Any taxes over that amount you will pay when you register the vehicle in your state. If your rate is less than 6% then the lower rate will be collected. You will NOT be double-taxed. We will provide you a notarized document as to the amounts collected which you may present to your motor vehicle department as evidence of sales tax already paid. Any balance of tax due and related title and registration fees are the buyers responsibility. There are few states which currently do not allow credit such as AR, DC MS, WV. To avoid paying tax to FL and AR, DC MS, WV we should make the delivery to you out-of-state by a transporter. We must retain the shipping Bill of Lading as evidence of the out-of-state delivery. Exporting: If you are purchasing a vehicle which will be exported overseas we can only release the vehicle to you via a transporter / shipper as the vehicle may not be operated on Florida roads with a temporary tag unless sales tax has been collected. We request a copy of the export bill of lading or dock receipt for our records and state audit purposes so that we are not held responsible for taxes. 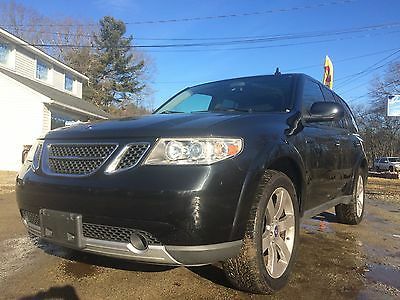 2008 SAAB 9-3 TURBO X 6 SPEED MANUAL, Jet Black, V6 Cylinder Engine 2.8L Vehicle Overview: Stock: 1672 VIN: YS3FM47R081151672 Year: 2008 Exterior Color: Jet Black Metallic Make: Saab Interior Color: Black Model: 9-3 Mileage: 79450 Engine: V6 Cylinder Engine 2.8L/170 Transmission: 6-Speed M/T Vehicle Description: Extremely rare Turbo X SportSedan with manual six-speed transmission, meticulously maintained by SAAB technician and owned by a SAAB zealot. Fully loaded, with cold weather package, sunroof, parking assistance, Bose sound system but without built-in navigation. The car is in excellent condition inside and out. This vehicle was rarely used as my personal show-off vehicle and it was always garaged and well taken care of. It was never been driven in snow or cold weather. The brakes were recently replaced with OEM rotors and pads, that cost over $1000 in parts and labor. A new Bosch battery with 3 years nationwide warranty has just been installed one month ago. Also 4 matching Bridgestone tires tires, were replaced recently and the thread is more than 90% on them. The headlights pictured will not be included with the sale but the original Xenon cornering light will be installed. For the right price I may consider leaving the lights on since they are very unique European specs, without the orange marker on the blinker. The vehicle is in excellent mechanical condition. For information or details please call 307-222-9303. Please use the phone as a method of communication. I never answer any emails unless you are from outside of the US. Vehicle Specification: Exterior: Door handles, body-color, exteriorFog lamp, rearGlass, tinted and heat absorbentLiftgate handle, titanium finishSpoiler, rear, trunk mountedTire repair kitTurn signals, side-mounted indicator lampsWindshield washers, 6-jet, high pressure Fog lamp surround, titanium finishFog lamps, front integralHeadlamps, Xenon corneringMirrors, outside heated power-adjustableTire and wheel, spare, deleteTires, P235/45R18-98Y high-performance, radialWheels, 18" x 7.5" (45.7 cm x 19.0 cm) 3-spoke, twinWipers, front rain-sensing Interior: Air conditioning, dual-zone automatic climate control with individual temperature settings for front passengers and rear seat air outletsAntenna, combined OnStar/XM Satellite Radio, roof-mountedAntenna, rear integrated diversityCargo anchorage loops, in the trunkCruise control, electronic with set and resume speedDefogger, front, side-windowDriver Information Center includes, trip computer, outside temperature, fuel consumption, distance to empty, average speed, speed warning and driver warning messagesGlovebox, cooled and illuminatedInstrumentation, analog includes speedometer, tachometer, boost gauge, fuel level, engine temperature and digital odometer with trip meterLighting, interior with rear readingPower outlets, 2 - 12-voltSeat adjuster, driver 2-way lumbarSeat adjuster, front passenger 8-way powerSteering wheel, mounted audio controlsTheft-deterrent system, content theft alarm with engine immobilizerTrim, carbon fiber decor on the gear lever surroundTrim, metallic-rimmed gaugesVisors, driver and front passenger with dual illuminated vanity mirrors Air filter, cabinAntenna, integral in rear glassAssist handles, front and rear outboard, includes jacket hook on rear handlesConsole, front center armrest with coin holderCup holder, front folding in instrument panelDefogger, rear-window, electricFloor mats, carpeted front and rearHeadrests, rear, outboard seats, adjustableLighting, interior includes delay-off feature, overhead map, footwell, remote 'halo' and front door illuminated entryMirror, inside rearview manual day/nightProfiler, menu system for individual settingsSeat adjuster, driver 8-way powerSteering column, adjustable tilt/telescopingSteering wheel, sport, perforated soft leather-wrapped gripsTrim, carbon fiber decor on the doorsTrim, carbon fiber decor on the gloveboxTrunk illumination Mechanical: Alternator, 155 ampsBrakes, 4-wheel disc, high-performance, ventilated front and rearEngine, turbocharged 2.8L V6 (255 hp [190.2 kW] @ 5000 rpm, 258 lb-ft of torque [348.3 Nm] @ 1900 rpm)Performance Package increases engine horsepower on 2.8L V6 turbocharged engine to 280 hp @ 5000 rpm, 295 lb-ft of torque @ 1900 rpmSuspension, front, MacPherson strut type with gas shock absorbers, anti-roll bar and hydroformed sub-frameXWD Cross-Wheel Drive System Battery, maintenance free, 70AHDifferential, electronic limited slipExhaust, dual titanium finish tailpipesSteering, power assisted rack and pinionSuspension, rear independent, four-link with toe-link, coil springs, gas shock absorbers, anti-roll bar, sub-frame and 'Re-Axs' passive rear-wheel steering system Safety: Air bags, frontal, driver and right front passenger with Passenger Sensing System (Always use safety belts and the correct child restraints for your child's age and size. Even in vehicles equipped with air bags and the Passenger Sensing System, children are safer when properly secured in a rear seat. Never place a rear-facing infant restraint in the front seat of any vehicle equipped with an active frontal air bag. See the vehicle's Owner's Manual and child safety seat instructions for more safety information. )Brakes, 4-wheel antilockChild Safety Locks, rear doorsDaytime running lampsLATCH system (Lower Anchors and Top tethers for CHildren), for child safety seatsSafety belts, 3-point, front Air bags, side curtain for outboard seats and side torso for the front seats (Head curtain side air bags are designed to help reduce the risk of head and neck injuries to front and rear seat occupants on the near side of certain side-impact collisions. Always use safety belts and the correct child restraints for your child's age and size, even in vehicles equipped with air bags. Children are safer when properly secured in a rear seat. See the vehicle's Owner's Manual and child safety seat instructions for more safety information. )Brakes, Electronic Brake-Force Distribution (EBD)Clutch pedal with starter interlock (Included with (MM3) 6-speed manual transmission. )Head restraints, active, front seatsSafety belts, 3-point, all rear seating positionsSide impact protection, pendulum B-pillar structure Entertainment: Audio system feature Bose Centerpoint Surround Sound system with 11 speakers XM Satellite Radio. With a wide variety of programming, XM has something to excite any driver. Whether you want to be entertained or informed, to laugh, think, or sing, XM has the perfect channel for you - coast-to-coast, and in digital-quality sound. 3 trial months - no obligation (Available in the 48 contiguous United States. Required $12.95 monthly subscription sold separately. All fees and programming subject to change. Subscription subject to customer agreement. For more information, visit gm.xmradio.com.) Vehicle Warranty: For the asking price, the vehicle is sold with 30 days limited warranty. Please ask for details. Terms and Conditions: Payment Options We accept the following payment methods: - Cashier's Check/money order - Loan check from eBay Financing Center - Cash (in person) - Personal check (once cleared) Vehicle Pickup & Shipping All shipping charges are buyer's responsibility. General Terms Terms of Sale The following terms of sale apply to all of our online sales as well as sales resulting from online ads or other ad, or a procurement sale. 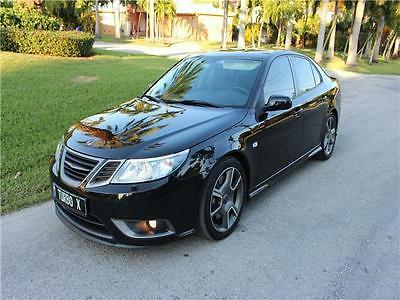 SAAB93PARTS is the registered eBay user name of Next Level Automotive. We are a licensed, bonded and insured Florida Independent Dealer. We are located at 5730 DAWSON ST. HOLLYWOOF, FL 33023. Our office can be reached at 307-222-9303 (30 SAAB 93 03). Deposit The successful high bidder of an online auction/ad will submit a $500.00 non-refundable deposit within 24 hours of the close of the auction to secure the vehicle. This may be paid via PayPal or certified funds in US Dollars only. Payment of Balance Due The buyer agrees to pay remaining balance due including applicable fees and taxes within 3 days of the close of online auction/ad unless otherwise agreed to by seller in writing. Payment Methods The ONLY acceptable methods of payment are: certified bank check, bank wire transfers or pre-approved third-party financing. All funds must be in US Dollars only. Cash in person is acceptable with pre-notification so that large transactions can occur during banking hours. NOTE: Please be sure to have full payment and/or approved financing in place BEFORE making your final bid. Call for more information. We apologize for any inconvenience but company policy is that we do not accept Paypal as method of payment beyond the $500.00 deposit amount. Additionally, credit cards are only accepted through Paypal up to the $500.00 limit; we do not take credit cards on-site. Financing as Method of Payment When seeking pre-approval for an auto loan please remember that some lenders only work with franchise dealers. Next Level Automotive is licensed as an Independent Dealer. Most banks and credit unions do not finance vehicles older than 7 years or with more than 100,000 miles. Make sure, then, if financing, that your financial institution accepts the year and miles of the vehicle BEFORE bidding. If you win an auction you herein agree to subject yourselves to these terms and, therefore, if you cannot arrange financing your deposit will be held by Next Level Automotive to help cover costs involved in the auction/ad. (Under some circumstances, with prior agreement, the deposit may be applied towards a future purchase of a vehicle from Next Level Automotive). General Terms We reserve the right to cancel all bids and end an auction early at any time should the vehicle no longer be available for sale. Winning bidder must contact us within 24 hours of auction end and make arrangements for payment and delivery at that time. Terms of Deposit and Payment of Balance Due outlined herein apply. If we have not received contact within 24 hours of auction end we reserve the right to further advertise the vehicle, sell it to the next high bidder, or sell it otherwise. This vehicle is also being offered for sale outside of eBay and should a sale agreement be made we reserve the right to withdraw or end the auction in accord with eBay rules and regulations. For example, No Reserve auctions may not be ended during the last 12 hours except to end it during that time and sell to the high bidder. Inspections A third-party inspection is highly recommended to avoid any misunderstandings. We have made an earnest effort to accurately and fairly describe this vehicle to you. We aim to only carry quality pre-owned vehicles, however, please know that any and all pre-owned vehicles will have typical scratches, nicks, or dings inherent for its year, and mechanical parts are subject to fail. Some vehicles have required paintwork (i.e. bumpers, mirrors, etc) to improve quality. All such work that we may have done is by professionals and of high quality. If you would like to arrange an inspection, please contact us before auction end or before a purchase commitment and we will do our best to coordinate with you to make the vehicle available for your arranged inspection. Buyer / bidder is responsible for payment of the inspection. Shipping Buyer is responsible for all shipping charges. We are happy to assist in arranging shipping as a value added service only. We assume no responsibility for damages incurred after the shipper has signed for the vehicle. We are NOT the shipping company. Shipping companies are independent of our dealership. Delays happen and are often uncontrollable and some shippers prove to be more communicative than others. For the most part, though, it is a relatively smooth process and we will do our best to walk you thru the process. If you choose to arrange your own shipping, note that for sales tax purposes we require a copy of the Bill of Lading when the vehicle is picked up and a copy of the signed delivery receipt when you have received the vehicle out of Florida. Please, we prefer that you do not select DAS as your service provider as we have not had positive experiences with that company. Accessories Vehicles offered for sale by Next Level Automotive are pre-owned. When these units are purchased from the dealer-only auctions as trade-ins or lease turn-ins they may not have some ..accessories.. which you may feel should be included. Such items include things like books & manuals, extra keys, remotes, headphones (for entertainment packages), tools, cargo nets, floor mats, CD cartridges, wheel lock keys, etc. Items as these (or others you may think of) are not automatically included or provided by us. In our writtendescriptions, we do our best to list things accurately. HOWEVER, we do make mistakes and may overlook an item listed as included which did not come with the car. In such a case, please refer to the photos of the vehicle to see if you can see the items listed. For example, we usually take a photo showing any books and keys or remotes that come with the vehicle. If you don’t see a photo of it, please ask us to check to see if it is included with the vehicle. Please do not assume anything and know that we don’t mind you asking us to double-check some things. Disclaimer We make every effort to present information that is accurate. However, it is based on data provided by the vehicle VIN decoding and/or other sources including but not limited to car history data reports and therefore exact configuration, color, specifications, accessories should be used as a guide only and are not guaranteed. Under no circumstances will we be liable for any inaccuracies, claims or losses of any nature. Furthermore, inventory is subject to prior sale and prices are subject to change without notice. Prices do not include taxes, title and registration fees, finance and/or documentation charges, and shipping fees when applicable. To ensure your complete satisfaction, please verify accuracy prior to purchase. Also, due to human imperfection, and/or occasional software glitches, if you see a vehicle advertised, for example, for $200.00, please understand we are not selling a car for such a price and a correction will be made. A click of the wrong button can mean the difference between a starting price and a selling price. If you see such an amazing deal, please contact us right away to verify as it is likely an error and we will not be able to honor it. Sorry, we are only human! Warranty Vehicles sold from our dealership are being sold AS-IS. No representations or warranties are made by seller. A Manufacturer Warranty for the vehicle maystill apply. Car history reports sometimes convey beginning or ending periods of manufacturer warranties. The best way to confirm this information is to call a manufacturer’s franchise dealer (ask for the service department) and inquire as to the warranty details. You will need to provide them with the VIN when you call. Jurisdiction The jurisdiction of this transaction is Broward County, Florida. By bidding on or making an agreement to purchase this vehicle you will have entered into a legal and binding contract. You agree not to leave negative feedback until we have been given opportunity to correct any issue that may be brought up with this transaction. If you have any questions about these terms please contact us. Notice to Bidders on eBay We reserve the right to cancel all bids and end an auction early should the vehicle no longer be available for sale. Zero Feedback Bidders Due to a high ratio of zero feedback bidders that prove to be non-paying bidders we request that any new bidders with zero feedback contact us via phone or email prior to bidding. If a zero feedback bidder wins the auction and we cannot contact them or he/she does not contact us within one hour after the auction closes we will assume he/she is a non-paying bidder. We then reserve the right to make a second-chance offer to the next bidder down or sell the vehicle otherwise. Non-Paying Bidder If the deposit is not received within 24 hours via Paypal (or 2 business days sent via courier and you have told us it is coming this way) of the close of auction or if the balance is not paid in full within 7 days following the close of auction, we reserve the right to re-list the vehicle or sell it to another qualified buyer. Fees and Tax Information: Fees and Taxes Next Level Automotive charges a Dealer Prep Fee in the amount of $199.00 on all vehicle purchase transactions including wholesale transactions with other licensed dealers. It must be stated that “This charge represents costs and profit to the dealer for items such as inspecting, cleaning and adjusting vehicles, and preparing documents related to the sale”. Florida law statutes mandate that any such fee must be disclosed and included in the final sale price without discrimination. With online auctions the final sale price is not known in advance, so please note that the amount of $199.00 will be added to the closing or agreed amount of purchase so that the final price will include the fee and such will be reflected on the Bill of Sale, also called a Purchase Agreement or Buyer’s Order. A BIN (Buy-It-Now) price on eBay does not include the $199.00 charge. Next Level Automotive is licensed in the State of Florida and is responsible for COLLECTING applicable sales taxes related to vehicle sales. Please note the following state mandated guidelines: Sales Tax for Florida Residents: 6% for the state plus any applicable county discretionary tax. Out-of-state (non-Florida resident)shipping your vehicle to your state: We retain a Bill of Lading as evidence of your shipping and do not collect sales tax. You are responsible for paying your taxes, title and registration fees when you register the vehicle in your home state. Out-of-state (non-Florida resident)taking delivery in Florida: If you take delivery of your vehicle here in Florida and we issue you a temporary tag, and your state has a Reciprocal Agreement with Florida, then we MUST collect your state’s applicable Sales Tax up to a maximum of the Florida rate of 6%. Any taxes over that amount you will pay when you register the vehicle in your state. If your rate is less than 6% then the lower rate will be collected. You will NOT be double-taxed. We will provide you a notarized document as to the amounts collected which you may present to your motor vehicle department as evidence of sales tax already paid. Any balance of tax due and related title and registration fees are the buyers responsibility. There are few states which currently do not allow credit such as AR, DC MS, WV. To avoid paying tax to FL and AR, DC MS, WV we should make the delivery to you out-of-state by a transporter. We must retain the shipping Bill of Lading as evidence of the out-of-state delivery. Exporting: If you are purchasing a vehicle which will be exported overseas we can only release the vehicle to you via a transporter / shipper as the vehicle may not be operated on Florida roads with a temporary tag unless sales tax has been collected. We request a copy of the export bill of lading or dock receipt for our records and state audit purposes so that we are not held responsible for taxes. Fees and Taxes Fees and Tax Information: Fees and Taxes Next Level Automotive charges a Dealer Prep Fee in the amount of $199.00 on all vehicle purchase transactions including wholesale transactions with other licensed dealers. It must be stated that “This charge represents costs and profit to the dealer for items such as inspecting, cleaning and adjusting vehicles, and preparing documents related to the sale”. Florida law statutes mandate that any such fee must be disclosed and included in the final sale price without discrimination. With online auctions the final sale price is not known in advance, so please note that the amount of $199.00 will be added to the closing or agreed amount of purchase so that the final price will include the fee and such will be reflected on the Bill of Sale, also called a Purchase Agreement or Buyer’s Order. A BIN (Buy-It-Now) price on eBay does not include the $199.00 charge. Next Level Automotive is licensed in the State of Florida and is responsible for COLLECTING applicable sales taxes related to vehicle sales. Please note the following state mandated guidelines: Sales Tax for Florida Residents: 6% for the state plus any applicable county discretionary tax. Out-of-state (non-Florida resident)shipping your vehicle to your state: We retain a Bill of Lading as evidence of your shipping and do not collect sales tax. You are responsible for paying your taxes, title and registration fees when you register the vehicle in your home state. Out-of-state (non-Florida resident)taking delivery in Florida: If you take delivery of your vehicle here in Florida and we issue you a temporary tag, and your state has a Reciprocal Agreement with Florida, then we MUST collect your state’s applicable Sales Tax up to a maximum of the Florida rate of 6%. Any taxes over that amount you will pay when you register the vehicle in your state. If your rate is less than 6% then the lower rate will be collected. You will NOT be double-taxed. We will provide you a notarized document as to the amounts collected which you may present to your motor vehicle department as evidence of sales tax already paid. Any balance of tax due and related title and registration fees are the buyers responsibility. There are few states which currently do not allow credit such as AR, DC MS, WV. To avoid paying tax to FL and AR, DC MS, WV we should make the delivery to you out-of-state by a transporter. We must retain the shipping Bill of Lading as evidence of the out-of-state delivery. Exporting: If you are purchasing a vehicle which will be exported overseas we can only release the vehicle to you via a transporter / shipper as the vehicle may not be operated on Florida roads with a temporary tag unless sales tax has been collected. We request a copy of the export bill of lading or dock receipt for our records and state audit purposes so that we are not held responsible for taxes.